We all use it... you.. me.. your family, your friends. Think about it? Shoes. Bags. Wallets. Watch straps. Phone Cases. Furniture. Car Interiors. Clothing. Bike Suits. It's everywhere. Good leather is expensive. It needs looking after. If it's damaged - no problem. We.. our technicians, even you and our DIY products can fix it. All of our products are available on an exclusive regional rights, dropshipping, wholesale, or, bulk options. • Tears / Holes & Rips. To help understand our products. 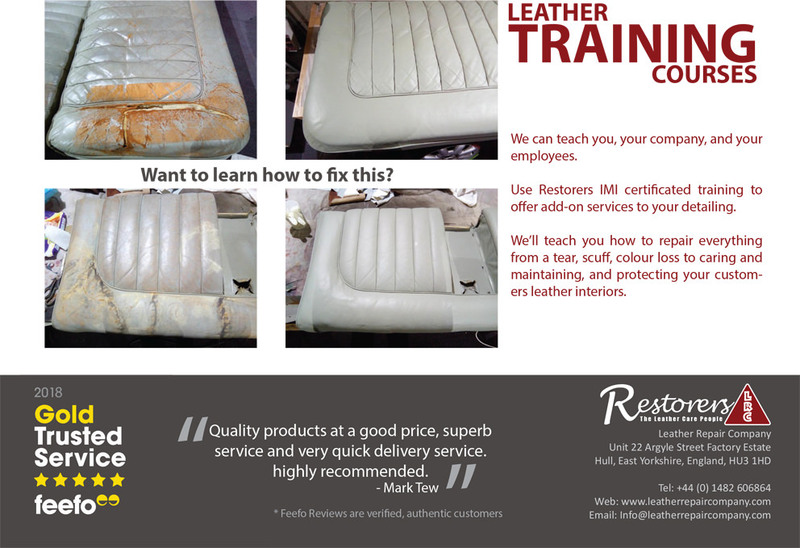 We provide leather repair training courses. Both in-house AND online, e-learning training courses. You can view a training intro here for our online courses.